You don't volunteer at your church, any more than you babysit your own kids. There are dozens of Spiritual Gifts named in the Bible, but this sermon specifically discusses the following gifts named in Romans 12:4-8. 1.) Start to identify your unique Spiritual Gifts. Start by completing this simple assessment, and then find a time to talk to Pastor Andrew or a Spiritual Mentor. 2.) Research the needs around you - at Oakland and in Cleveland. Your gift was given to meet real needs. 3.) START SERVING AT CHURCH LIKE YOU BABYSIT YOUR OWN KIDS. This sermon series includes a weekly Bible Reading Plan. Each week we read in preparation for the sermon coming next week. 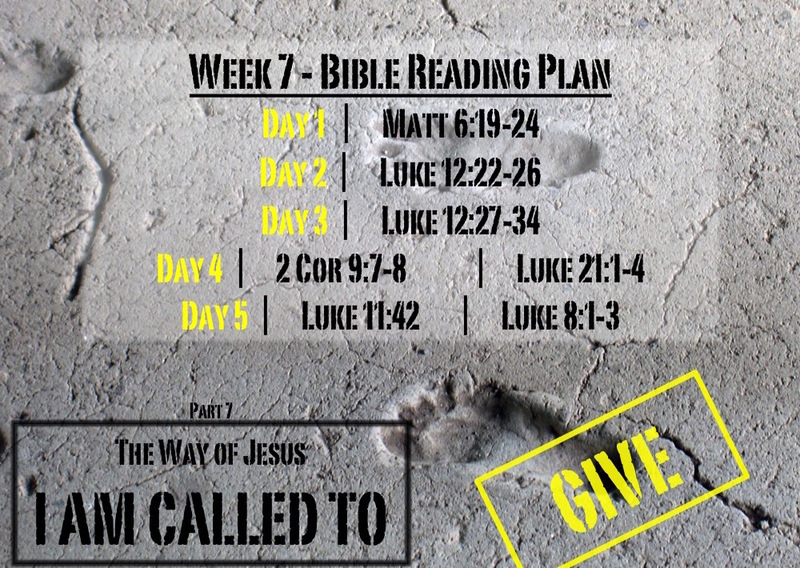 Next week we will discuss The Way of Jesus - I am called to GIVE, so this week we will be reading about honor God with our money using this WEEK 7 READING PLAN. Tips and suggested questions available on the PDF. Posted in Sermons and tagged Called to Serve, Charismata, Charismatic Gifts, Church, Holy Spirit, Jesus, Serve, Spiritual Gifts.